If you're anything like us, you have the best intentions when entertaining. Nothing but the finest linens for that guest bedroom! Casually arranged trays of Perrier and Voluspa scented candlesat every bedside! A basket of freshly baked muffins each morning! It's a sweet fantasy, but the devil, of course, is in the details—and the follow-through. In reality, the 24 hours before guests arrive typically involve frantic cleaning and haphazard stashing of bric-a-brac, not arranging exotic flowers and showing off your knowledge of Julia Child's "Mastering the Art of French Cooking." Your guests will forgive you if the house isn't in catalog condition. But you know what they won't forgive? Some frankly disgusting stuff that you might have overlooked in your haste to pretty things up. With some expert help, we've ID'd the top things in your house that are causing you to unwittingly gross out your guests. Some of these problem areas are quick fixes, while others will take a little more planning and effort to resolve. Start addressing the ick factor now, and you'll be wowing guests in no time. OK, this one shouldn't come as any kind of surprise. But just in case you didn't already know, your unkempt bathroom is really grossing people out. "Rings around the tub, orange grime on the shower floor, and soap scum in the sinks are not just visually unappealing, but they also make your guests wonder how well the house has been maintained," says Rhianna Miller, a home design expert at Rubber Mulch. "It’s crucial to keep the things people can see clean." 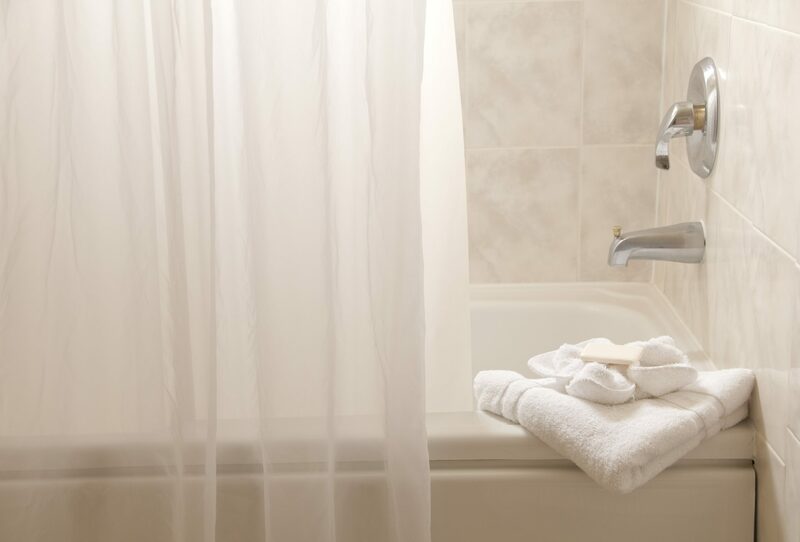 Pro tip: After cleaning and sanitizing your sink, tub, and toilet, run a microfiber cloth along your baseboards to catch any dust that's almost certainly collected there. Water stains on the ceiling or moldy, rotting wood around the windows is guaranteed to be gag-inducing (and have your guests wondering what other moldy grossness is lurking in your walls just out of sight). Fix them—and fast. "The key here is repaired—not concealed," Miller says. "Concealing problems will open up all kinds of problems later." You know what we're talking about: Nobody wants to see your discolored or mildewed liner when they step into the shower to, you know, get clean. Before guests arrive, toss your liner into the washer with a cup of vinegar and a few towels; run a short cycle for five minutes, then let everything soak for an hour. Turn the cycle back on, and hang the liner up to dry. If guests are arriving in, say, the next five minutes, tap into this trick from cleaning pro Lily Cameron, supervisor at One-Off Cleaning Services: Grab some rubber gloves and run them over the surface you want to clean (like your couch). "When rubbed against fabrics, rubber generates a lot of static electricity, so it will quickly gather all the pet hair on your upholstery," Cameron explains. "Some of the most popular rubber items that will do the trick are gloves, shoes, and even balloons—which are a particularly entertaining way to get your kids involved." Props to Realtor® Kathleen Marks for pointing out this gem. Because, as she so aptly puts it, "How clean can it be when food is constantly falling on it?" Granted, you probably don't want to deal with it right at this moment, but it's definitely one to keep in mind. Even worse than food in the carpet is, well, the kind of stuff you'd find in the vicinity of a toilet. 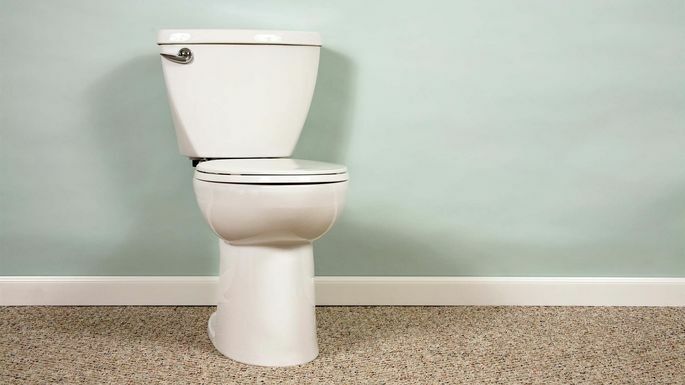 Plus, carpeted bathroom floors are a breeding ground for mold and mildew, due to the room being a high-moisture area. Unless you've splurged on mildew- and stain-resistant carpet (which will likely be lost on your guests, anyway), rip up your fuzzy flooring, pronto. And as gastroenterologist Charles Shrode notes, "Carpet in general can be a source of problems, especially if the previous owners are pet owners and prospective buyers have allergies or asthma." We can't believe this is still a thing. But alas, here we are, and guests will certainly be grossed out for all the same reasons as above. These things are germ magnets, given their proximity to the throne. While you're at it, ditch your fuzzy toilet lid cover, which isn't earning you any clean points, either. "The grossest part is that old pillows past their prime will contain months, if not years, of built-up dirt, oils, drool, dust mites, mold, mildew, and even fungi if they weren’t properly washed and/or protected," says Michelle Fishberg, co-founder and CEO of sleep wellness startup Slumbr. Ditch the old pillows and invest in high-quality, washable pillows and pillowprotectors (which you should also wash regularly). "Stinky old sponges and loofahs would most certainly be burned first during a contagious zombie outbreak, and many of your guests treat them equally suspiciously," L'Eplattenier says. Our experts tell us that sticky cabinet surfaces—typically the result of grease buildup from months and years of cooking—are a major cringe-inducer for guests. Make sure to wipe down not only your countertops, but also the front of your cabinets and the top of your hood range before guests arrive. 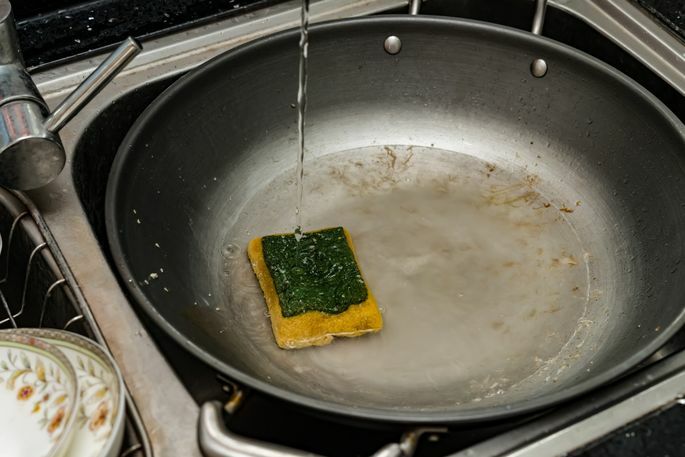 And prevent future gunk by replacing the filters in your hood regularly, and using your stove's fan (and/or opening windows) when frying food.